Multiple sclerosis (MS) is a chronic central nervous system disease. In people with MS, the myelin is attacked by the immune system. Although MS is not common, it still affects approximately over 400,000 people in the U.S., according to the Multiple Sclerosis Foundation. Common treatment options for MS attacks include plasma exchange, corticosteroids, beta interferons, glatiramer acetate, dimethyl fumarate, fingolimod, teriflunomide, natalizumab, alemtuzumab, and mitoxantrone. Now you can add natural vitamin D3 (cholecalciferol) to the list of MS therapies. In a new study published in the online issue of Neurology, the medical journal of the American Academy of Neurology, Johns Hopkins physicians found that taking high doses of vitamin D3 is not only safe for MS patients, but it may also help regulate the hyperactive immune response of the body. For the study, the researchers analyzed 40 adults with relapsing-remitting MS between the ages of 18 and 55. Participants either supplemented with 800 international units (IUs) or 10,400 IUs of vitamin D3 over a six-month period. The standard vitamin D3 recommendation is 600 IU for adults between the ages of 18 and 70. There were no side effects associated with the high and low dosages of vitamin D supplementation; one patient from each group experienced an MS relapse. Vitamin D levels in participants were measured at the start of the study and then again at the three-month and six-month mark. The response of the immune system’s T cells was also measured. The study found that people taking high vitamin D3 doses had reduced inflammatory T cell percentages linked with MS activity. In particular, the researchers found that when vitamin D blood levels climbed higher than 18 nanograms per milliliter (ng/ml), each additional five ng/ml increase in vitamin D levels was associated with a one percent drop in interlueken-17 T cell percentage in the blood. Interlueken-17 T cells are thought to contribute to the development of MS. There was also no reduction in interleukin-17 T cells in the blood in those who took the low dosage of vitamin D3. “We hope that these changes in inflammatory T cell responses translate to a reduced severity of disease,” explained study author Dr. Peter Calabresi, and the director of the Johns Hopkins Multiple Sclerosis Center and neurology professor at the Johns Hopkins University School of Medicine. The research team determined that more trials are required to confirm the study findings with larger groups of people. This will help them understand the mechanisms for the effects, although the results are promising. One of the root causes of MS is poor nutrition, especially vitamin D deficiency. 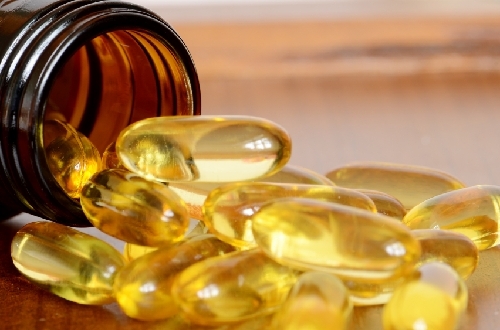 In another study published in PLOS Medicine in August, McGill University researchers found a genetic association between low vitamin D levels and a reduced MS risk. Other alternative therapies for MS include digestive enzymes, vitamin B12, vitamin E, fish oil, gamma linoleic acid (GLA), plant sterols and sterolins, ginkgo biloba, ashwagandha, DHEA (dehydroepiandrosterone), acupuncture and acupressure, yoga, tai chi, massage, deep breathing, meditation, and regular exercise. Sotirchos, E.S., et al., “Safety and immunologic effects of high-vs low-dose cholecalciferol in multiple sclerosis,” Neurology, 2015; doi: 10.1212/WNL.0000000000002316. “Taking Vitamin D May Benefit People with Multiple Sclerosis,” Johns Hopkins Medicine web site, December 30, 2015; http://www.hopkinsmedicine.org/news/media/releases/taking_vitamin_d_may_benefit_people_with_multiple_sclerosis. Whiteman, H., “MS patients may benefit from vitamin D supplements,” Medical News Today web site, December 31, 2015; http://www.medicalnewstoday.com/articles/304556.php. Mokry, L.E., et al., “Vitamin D and Risk of Multiple Sclerosis: A Mendelian Randomization Study,” PLOS Medicine, 2015, doi: 10.1371/journal.pmed.1001866. Balch, J., et al., Prescription for Natural Cures: A Self-Care Guide for Treating Health Problems with Natural Remedies Including Diet, Nutrition, Supplements, and Other Holistic Methods (Hoboken: John Wiley & Sons, Inc., 2004), 400-402. Pietrangelo, A., et al., “Multiple Sclerosis by the Numbers: Facts, Statistics, and You,” Healthline web site, March 24, 2015; http://www.healthline.com/health/multiple-sclerosis/facts-statistics-infographic. “Multiple sclerosis,” Mayo Clinic web site; http://www.mayoclinic.org/diseases-conditions/multiple-sclerosis/diagnosis-treatment/treatment/txc-20131903, last accessed January 5, 2015.